Need more space for dinner this Christmas or think it's about time you hosted a party? Whether it's an intimate gathering for ten or a party venue for five hundred, Oakleaf Marquees can cover it. 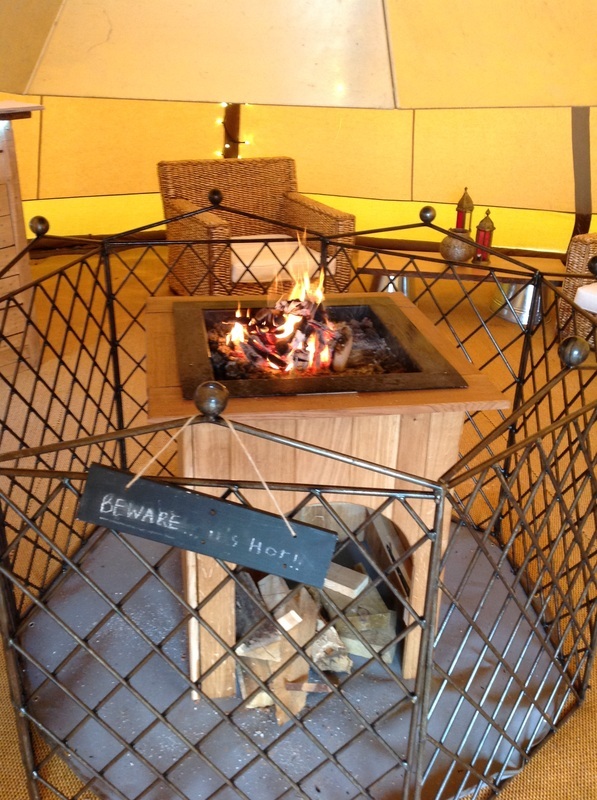 Our marquees and tipis are suitable for use all year round thanks to the array of heaters, fireplaces, solid doors and wooden floors we offer. What's more, we apply generous discounts to bookings over the winter months as it's classed as low season. So make this festive season one to remember and get in touch to start planning! Our Nordic-inspired tipis are ideal for winter use due to their shape and the fact that real fires can be used inside. 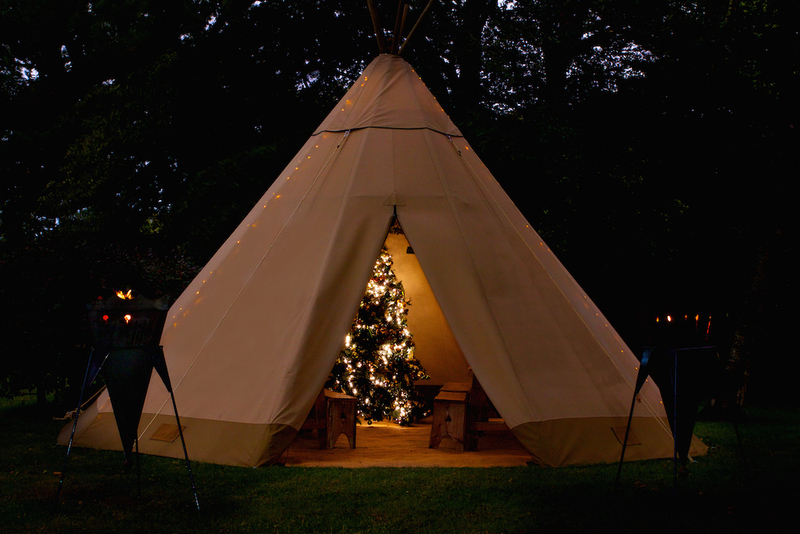 What could be more idyllic than a cosy tipi with crackling fire to toast your marshmallows or sip mulled wine beside? 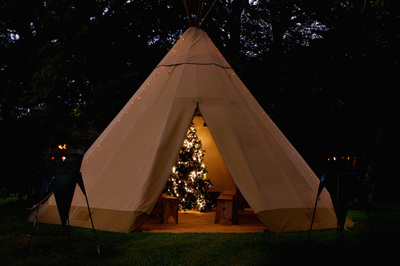 At 6.5m diameter, our Baby Tipi is ideal for garden gatherings and glamping as it can seat 20 and sleep 15. For events, our Big Hat is 10.3m diameter and can accommodate 80 seated or standing and 50 sleeping! 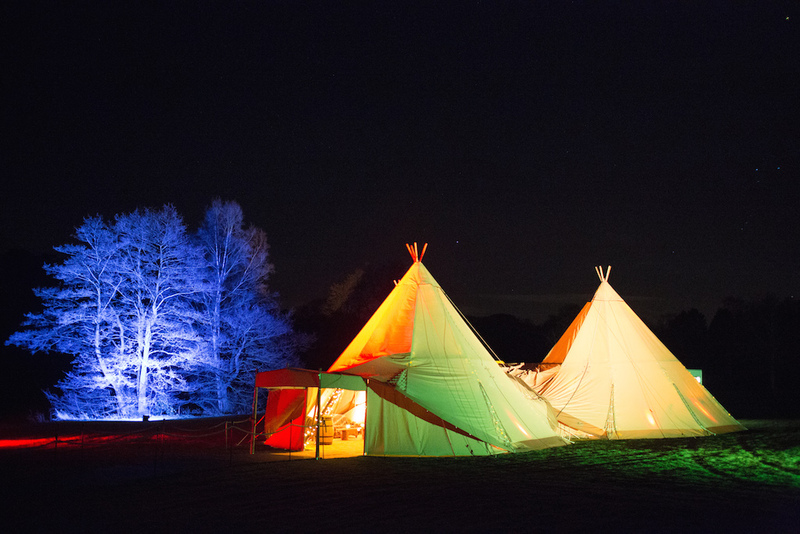 Tipis can be joined together for larger functions. 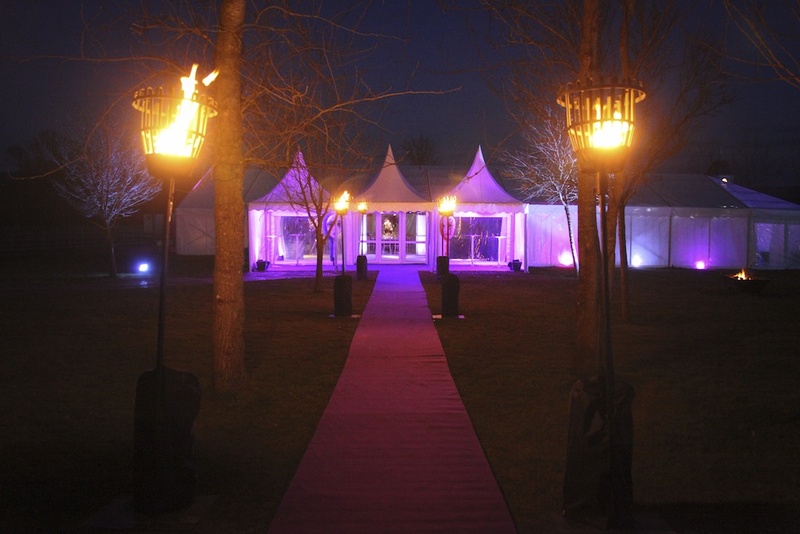 Frame (clearspan) marquees are strong and adaptable which makes them very suitable for winter events. 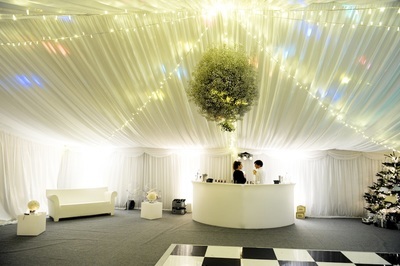 They can be fitted with starlight ceilings and endless amounts of fairy lights for magical effect. Wooden floors, French doors and heaters keep inclement weather at bay. A 3m x 6m marquee can accommodate 20 people seated - with flooring, furniture and heating this makes an ideal house extension. We can also create a nightclub style space with LED lighting, funky seating and dance floors or a large 15m x 30m marquee for 500 seated. 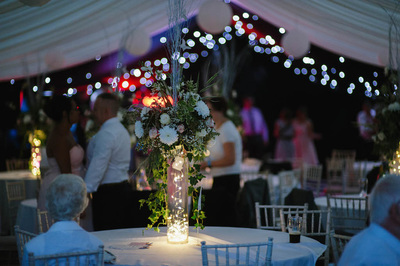 We don't just hire out marquees. 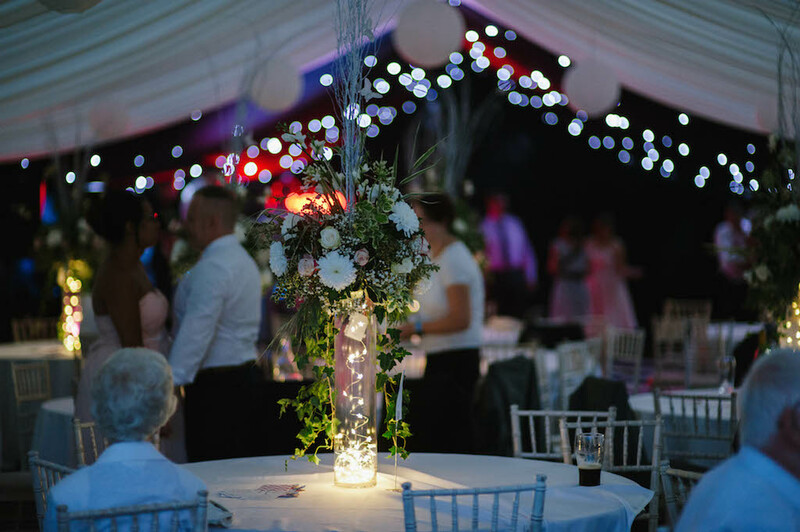 Over the winter months we hire chairs, tables, lighting, PA systems and more to events throughout the South West.